How to watch On the Other Side of the Tracks (2012) on Netflix Taiwan! Sorry, On the Other Side of the Tracks is not available on Taiwanese Netflix, but you can unlock it right now in Taiwan and start watching! With a few simple steps you can change your Netflix region to a country like Argentina and start watching Argentine Netflix, which includes On the Other Side of the Tracks. We'll keep checking Netflix Taiwan for On the Other Side of the Tracks, and this page will be updated with any changes. On the Other Side of the Tracks is not available in Taiwan BUT it can be unlocked and viewed! Two policemen from radically different worlds -- and with radically different styles -- investigate the murder of a business mogul's wife. Pretty-boy detective and inner-city cop. Not a thing in common, except the bad guys they beat into submission. There is a way to watch On the Other Side of the Tracks in Taiwan, even though it isn't currently available on Netflix locally. What you need is a system that lets you change your Netflix country. With a few simple steps you can be watching On the Other Side of the Tracks and thousands of other titles! 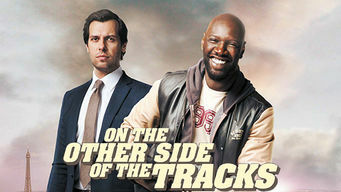 Watch "On the Other Side of the Tracks"